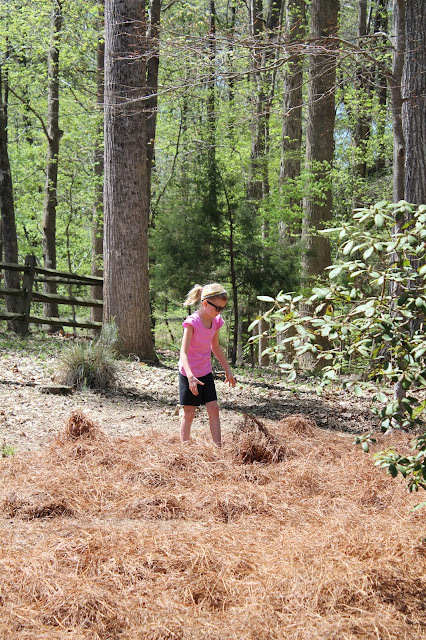 We have a natural area in our backyard that gets fresh pine straw every spring. 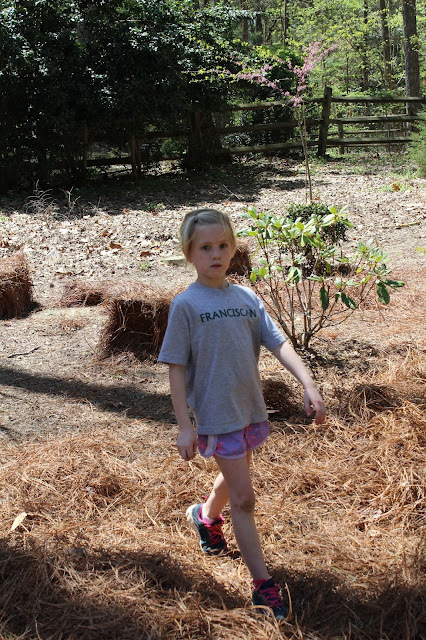 We are talking about 120 bales of pine straw. In order to get this all spread nicely, we use cheap labor. 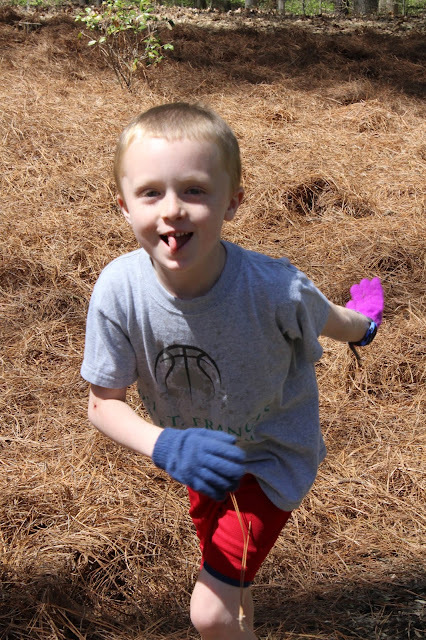 Everyone gets a pair a gloves, a trash bag, and some scissors to cut the twine that wraps the bales. I brought out the speakers for music. I expected complaints and bickering, but they were great. We even had half-time popsicles.